NANOSKIN WET SHINE Silicone Spray Coating is a clear, non-foaming coating which provides a water-resistant high gloss shine to the surface. 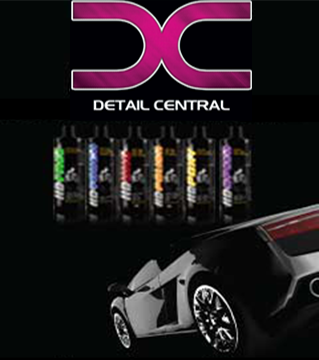 It's fast and easy to apply and leaves a brilliant "wet shine" finish. Specially formulated to enhance the appearance of non-rubber surfaces such as vinyl, body mouldings, bumpers, bumper guards, engine compartments, and door jams.WET SHINE brightens and renews any plastic surface. Great for those hard-to-reach places. Shake well before using the product. PREPARE SURFACE. REMOVE DIRT, DUST, OIL AND grease. Dry surface. Test spray on inconspicuous area or scrap piece to check compatibility. Hold can 10" to 12" from surface. Use a stroking motion. Apply two or more thinner coats rather than one heavy coat. For best results, spray at 70ºF to 80ºF. Remove overspray immediately. If necessary, remove spinoff from plastic and painted panels to avoid staining. Polish surface, if desired, using a soft cloth after allowing spray to dry a few minutes.